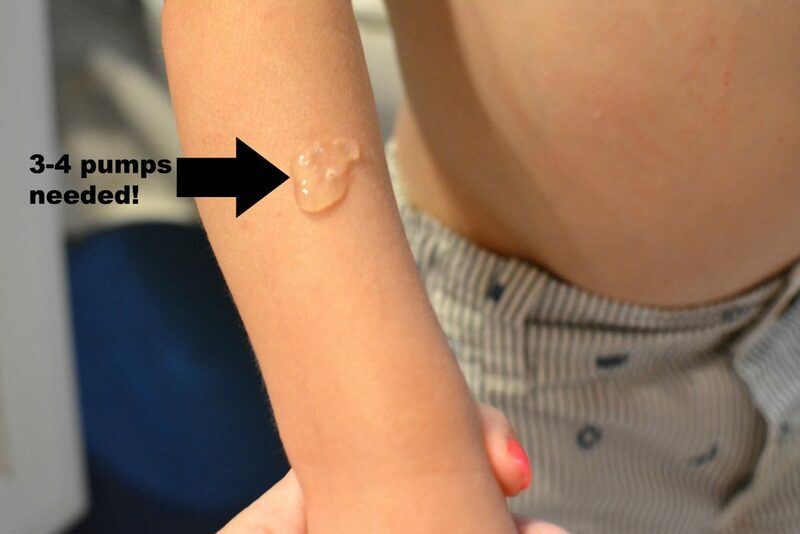 There are two reasons that I was much better prepared to handle my second child’s eczema though. It is not as bad this second time around because with my first child I knew nothing about eczema at all. Just that red itchy dry patches suddenly appearing on her skin and causing her discomfort. I had no idea that somewhere around 20% of kids will have it. Zane does seem to be growing out of it a bit now, so I know it’s not something they will have to struggle with forever. The second reason is because I’ve discovered CLn BodyWash and Facial Cleanser. 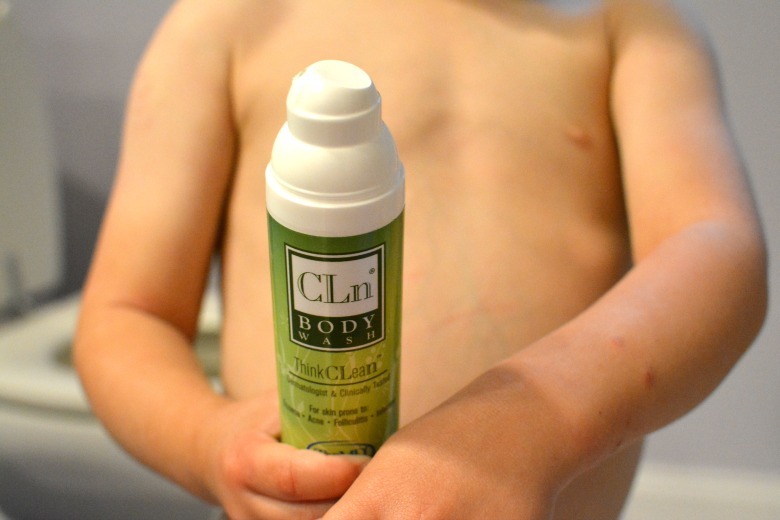 It took a while for me to find the best treatment, but CLn BodyWash has been awarded the Seal of Acceptance by the National Eczema Association, and more importantly, it soothes my babies’ skin. Like most moms whose children suffer with eczema, you try every possible formula out there until you find the one that best works for your kids. I am not joking when I say that I have tried over 20 different washes with no success. That is why I was so glad to find CLn Bodywash because after using it for a month, I notice tremendous improvements in both of their skin. It is a nice gentle cleanser that calms the redness, and itchiness, and can be used as an all over, head to toe body wash. It is safe for babies as young as six months, treating the dryness that can be so irritating to them. When I shower the kids, I simply add 3-4 pumps of the CLn Bodywash onto a loofah and lather (for 1-2 minutes) onto their skin with it. I then rinse well. Moisturizers and sunscreens can be applied after as needed. We are at the beach or pool almost every day in the summer, so the kids get more frequent baths this time of year. I love that I can incorporate CLn BodyWash into our normal bathing routine and that it is gentle enough to use every day if needed. 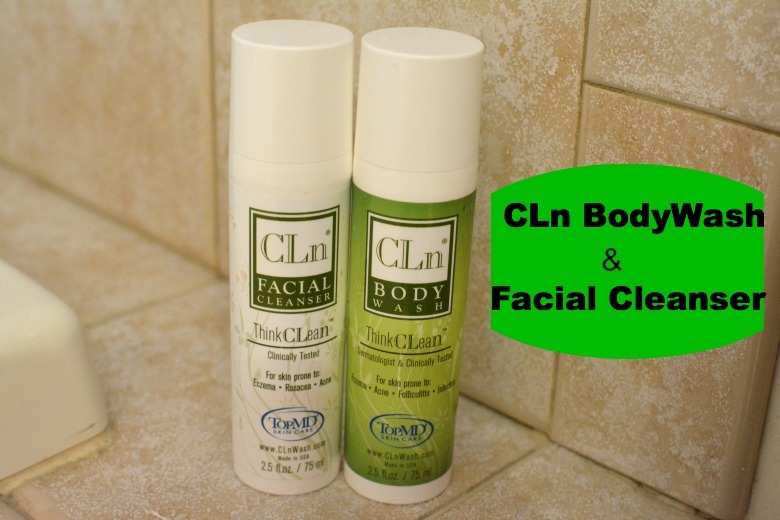 I have even discovered the CLn Facial Cleanser for myself, which really clears up my skin from any redness I may have. Like the BodyWash I use on my kids, the hypoallergenic facial formula gently cleanses without using any parabens, dyes or fragrance, and is oil free. With continued use, my skin feels and looks smooth, healthy, and refreshed. I simply massage and lather into my skin for 30 minutes and rinse. After cleansing, moisturizers and sunscreens may be used. I feel thanks to the CLn Skin Care products we are better able to really enjoy our summer fun. With all the elements our skin encounters, the chlorine, sunscreen, salt water, and the sun, my children need the gentle soothing eczema care CLn BodyWash provides. If you or your child is suffering from eczema I would definitely suggest that you try these product. 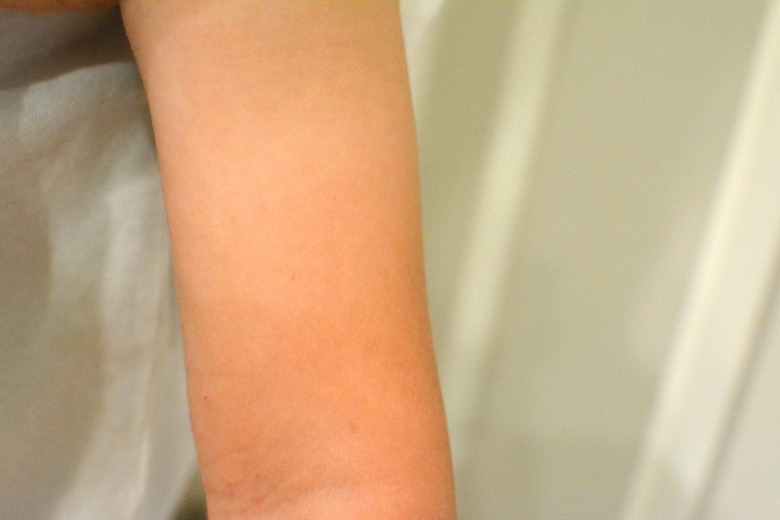 It was such a relief for me to find a product that finally worked, and such a relief to those itchy little red patches tucked into little elbows and knees too! After using this product for about a month, I have to say that everyone’s skin looks so much better. I highly recommend trying it if you or your children suffer from eczema, dry skin, irritations, or other skin problems. To find out more about CLn Bodywash and Facial Cleanser, follow them on Facebook, Twitter, and their Pinterest Page today. Laura’s Journey, Laura’s Star and the Dream-Monster App review! I am so glad you found something that helps your son. It’s so convenient that you can incorporate the product into your regular bathing routine. This sounds like a great product and I am glad that it helped your kids. Thank you for your review. It is awesome that it has been awarded the Seal of Acceptance by the National Eczema Association! That right there convinces me it works! 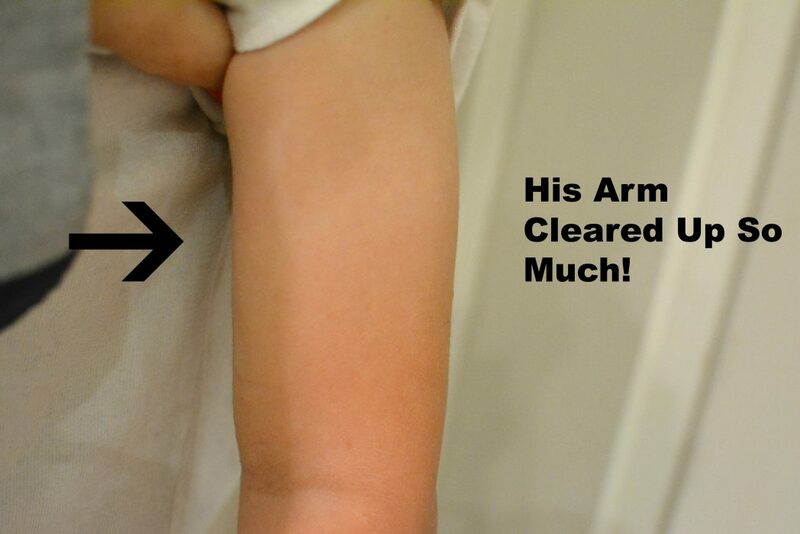 We coped with eczema for the first year of our son’s life and thankfully he’s recovered. We find quality products to keep his skin moisturized. I have psoriasis, not eczema, but a close friend of ours gets it really bad! I am glad you found a product that works well for your eczema. My neighbor has this, so I’ll pass along the info! That’s awesome that it works for your son. My niece has eczema, so I will definitley tell my sister in law about this. These look like they’d be great products for myself to use! I’ve never heard of this product before. I take my clients that have eczema off gluten and dairy and it goes away–just in case this product isn’t available when you need it again. great review and looks like it really works! That was a significant change! I’m so glad it’s working so well. 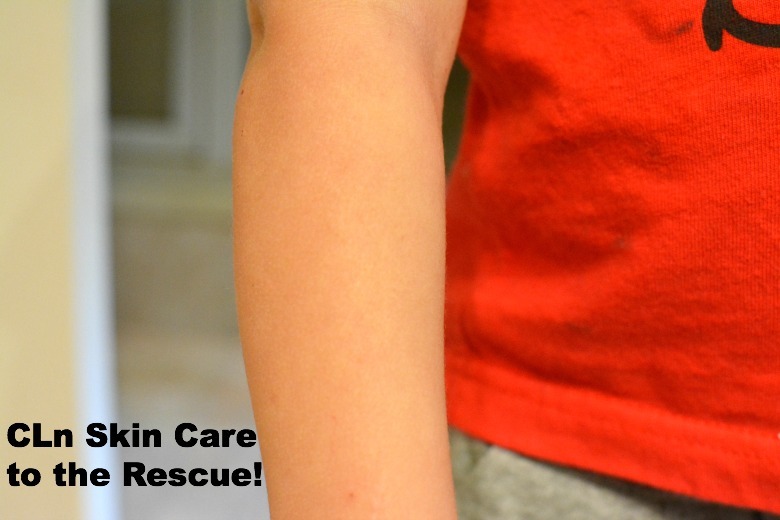 We have terrible eczema in our house and I am going to have to try this! Love trying new body washes. They might be a good one. I have to remember this products if even my kids get eczema. It’s hard to find products that really works nice to know this one works wonders. My daughter and I both suffer from Eczema and its worse in the winter but the bug spray and suncreen really cause it to flair up too. Oh my goodness! Wow! That’s is truly amazing and it’s a facial cleanser! If it could do a job like that, then it’s gotta be truly natural. I’m writing this down as I’m always looking for good products like this!